##815 Sonata Colors Available. Available in Black, Blue and Cinnamon. Black ink cartridge only. 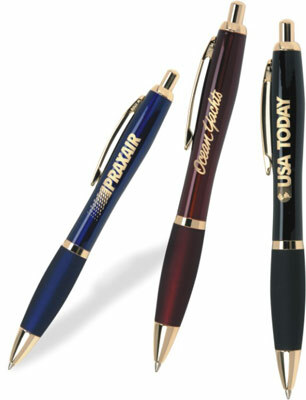 Maximum engraving area: 2" x 3/16" (straight line engrave of 2 lines, 35 characters per line). Each pen is individually cellophaned.